It sounds simple enough, but to love sacrificially like Jesus, is quite challenging. Each day is a new opportunity to try and follow in his footsteps. Some days, I suppose, we do okay. Other days are a disaster. We battle our selfish desires every day. A core value at the congregation I serve is to, “Treat others like Jesus.” It is a revolutionary principle. As I see Jesus in others, it transforms my attitude and behavior toward them. I want to treat Jesus respectfully, so I try to treat others respectfully. I want to show kindness to Jesus, so I attempt to be kind toward others. I encourage you to give it a try. Living like Jesus is a wonderful way to live. 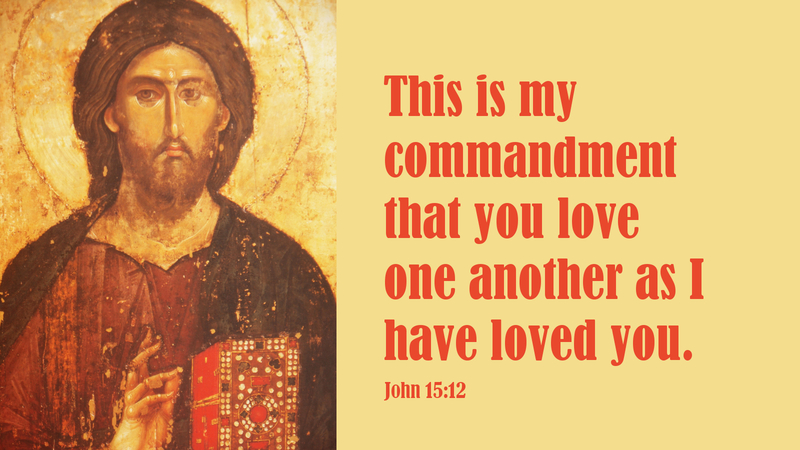 Prayer: Loving Lord, help to love like you and see you in the people I encounter today. Amen. Today’s devotion was written by Carl Nielsen, pastor of Bethel Lutheran Church, Santa Maria, CA. It has been said that it is easy to lay down your life for someone you love. I don’t believe it would be all that easy. But Christ laid down His life for those who hated him as well. That is true sacrifice. I would like to believe that I would lay down my life at the appropriate time with God’s strength.